This book endeavors to be a study of identity in Indian urban youth. It is concerned with understanding the psychological themes of conformity, rebellion, individuation, relatedness, initiative and ideological values which pervade youths' search for identity within the Indian cultural milieu, specifically the Indian family. 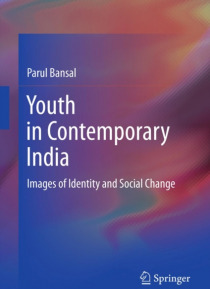 In its essence, the book attempts to explore how in contemporary India the… emerging sense of individuality in youth is seeking its own balance of relationality with parental figures and cohesion with social order. The research questions are addressed to two groups of young men and women in the age group of 20-29 years-Youth in Corporate sector and Youth in Non Profit sector. Methodologically, the study is a psychoanalytically informed, process oriented, context sensitive work that proceeds via narrations, conversations and in-depth life stories of young men and women. Overall, the text reflects on the nature of inter-generational continuity and shifts in India.